"What would Market Dojo be like today if it had started 10 years earlier?" The Year 2000. The Millennium. Throughout the year and across the globe, monumental events were taking place such as George Bush becoming president of the US by a slim margin, the Olympic Games being hosted in Australia and in the UK, Big Brother graced our screens for the first time (Yay). One event (of even greater relevance than Big Brother) which cannot be ignored was the collapse of the dotcom bubble. Mesmerised by the sweet bliss of dotcom, eCommerce companies such as Boo.com, Pets.com and Toysmart.com were thriving from investment. Little did they know that their demise was swiftly encroaching and soon they would become mere ghosts of their former triumphs. Amazon and Ebay were entering their 5th year with seemingly little hope for the future. On 22nd June, the Lehman Brothers Inc. debt analyst Ravi Suria released a scandalous report on Amazon’s predicted loss and the future of the eMarketplace, and the entirety of the World Wide Web at that point in time looked pretty bleak. The price of technology was just too much to sustain at that point, the price of marketing was far too high and the volume of people using the web was simply not great enough. The business world had got carried away and over-invested in the dotcom concept at a time when demand was simply too low. So what was happening in the procurement world? What was eSourcing like? Until 2000, the emphasis had been on on-premise software solutions. These came with many benefits at the time such as the company having ultimate control over all their systems, potentially sensitive data being stored internally and having a dedicated team of IT staff available for support. However on-premise solutions did come with its own set of problems. One main concern was integrating the various software vendors. One solution to this was that companies merged together or were bought out to form a few major software suites who could provide an all-in-one solution that met every purchasing need a company could possibly desire. For example, Ariba acquiring Freemarkets (who pioneered managed eAuctions) for $493 million in 2004 (who later sold it to Accenture for $51M, showing how eAuctions became more commoditized). With the formation of these large conglomerates, the intrinsic values (such as usability and maintenance) of the original software providers were somewhat lost, as the companies were stretched and their focus moved away from the customers’ needs to company growth and management. The phrase “one throat to choke” was coined as users gradually became more infuriated with the amalgamated giants and sought one person to blame for the myriad of problems that occurred. Fortunately, alongside this thunderstorm that was unfurling, the dawn of cloud computing was on the horizon and the sunshine of a Software as a Service (SaaS) solution was the prize at the end of the rainbow. 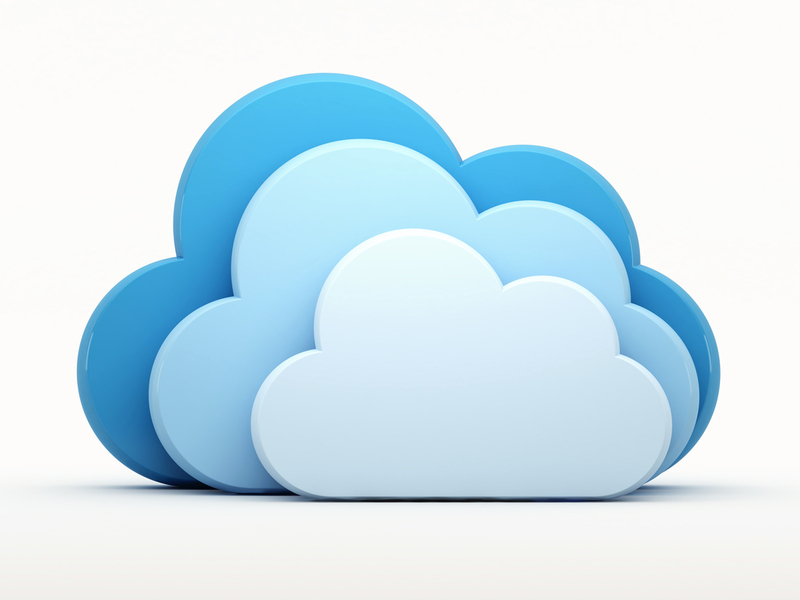 Cloud computing refers to the ability to host applications (software) online. Surprisingly, the Millennium did not provide the first emergence of cloud technology. As early as the 1950s, cloud computing was present in the form of large-scale mainframe computers, VPNs (Virtual Private Networks) encompassed cloud technology in the 90s, but the most recent is the Millennium version which we use today which has revolutionised technology as we previously knew it by driving on-premise platforms to a slow demise. There are many benefits of implementing cloud tools such as reduced costs, reduced on-site support, and eradication of long-winded clunky updates with difficult roll-outs. The latter, being the most note-worthy in the B2B environment, has enabled companies to quickly and easily attain best of breed solutions from niche suppliers due to integration issues being drastically reduced. The majority of us use single sign-on as consumers with Gmail, Twitter and Facebook when signing in to third-party applications. Market Dojo itself uses this today to easily toggle between our different tools: Market Dojo, Category Dojo, Innovation Dojo and SIM Dojo. I asked Alun Rafique, one of the co-founders alongside Nick Drewe and Nicholas Martin, a series of questions around eSourcing in the year 2000 and Market Dojo’s position had they formed the company then. Market Dojo as we know it today would not have been possible. Technology at this time was not advanced enough to allow the SaaS model that Market Dojo has adopted to be easily designed, built, hosted and used in a profitable way. Realistically, SaaS only became reliable for these types of application around 2005 and this would have prohibited the accessibility of the tool. Obviously you did have some players who started in SaaS such as Salesforce around the year 2000 but this type of application (CRM) avoided some of the challenges with eProcurement such complex events set up with interaction in real time between many parties and also the type of data that would be securely held would generally be less critical. Also eMail programs like Hotmail were around before this but again their reach into the B2B IT infrastructure was limited. Companies, with large IT departments and internal layers, were just not set up to take on the paradigm shift and use online eSourcing programs in lieu of on-premise, at least not in the volume that would be needed to make a SaaS company grow. eSourcing at the time was only adopted by huge companies within the framework of large procurement software packages with EDI links to suppliers. As Market Dojo is very much a best of breed solution, this was not something that was desirable at the time as the technology to easily integrate these tools was simply not there. In 2000, eSourcing, as done through these large providers, used a strange mix of electronic and paper-based solutions. While elements such as the tender itself were carried out electronically, the fulfilment to the supplier was carried out via paper. The full advantages of eTendering would therefore not have been fully utilised with this multi-channel approach. If Market Dojo had started at this time, it would have most likely been an on-premise solution, there would have been a need to form EDIs with suppliers (specific electronic links) and as it moved forward, it would have had to use email as a means of communication. There would have been large implementation and training costs, limiting the software to large MNCs and creating barriers for smaller companies. Also large consultative part would have been necessary. It would have been possible to perhaps form Market Dojo in 2005 with SaaS developing at this time and communication with suppliers would have improved in that 5 year period, however the SaaS-based model at this time was extremely expensive and less flexible than it was in 2010 when Market Dojo formed. Web development costs would have been exorbitant due to the complexity of what would be required compared to the skill base and programming options available at the time. “We rely heavily on clever plug-ins and external tech (OAuth, Highcharts, etc.) that may not have been around then, so our product would not have been as slick. In turn this means we wouldn't have been able to address what we wanted to: adoption. Our offering would have been a consultancy service with some neat in-house kit as opposed to a self-service software solution. We would have been focusing on a different pain, be it lack of resources or experience to run strategic projects or failure to hit cost reduction targets. Our time would be largely spent on educating the market and getting to engage with pioneers in the space. This means it isn't really a software model but a consultancy one. Our entire philosophy would be different. It seems like the year 2010 provided pretty good entry to the SaaS eSourcing market for Market Dojo due to the paradigm shift in the market to bring these technologies in house, allowing an affordable model with a focus on ease of adoption and bringing the benefits to the end user. Had the co-founders sat down in the year 2000 to create Market Dojo, there would have been various options in terms of releasing an on-premise version or a primitive SaaS solution. Although it can be agreed that neither outcome would come anywhere close to what we have in place today. In the second part of this 3 piece feature, we shall examine the current eSourcing market and what Market Dojo would have been like today if born in 2000, and how different it would look in comparison with the Market Dojo that actually exists today.